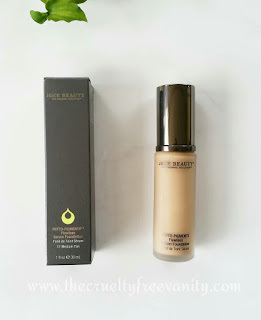 A question I always get asked is, "what are your top vegan or natural makeup brands?" A little over three years ago my journey to nontoxic beauty commenced and since then I have tried tons of brands. Some that are amazing and others that just didn't work out for me. This was supposed to be my top 5 vegan makeup brands, but it quickly turned into 6. I only want to mention brands that I absolutely love and that I have used for years, and keep going back to. Most of these are indie brands and some are WOC/POC owned. Its so important for me to support these types of brands especially if they are cleaner, cruelty-free and vegan. Also, there is only one brand in this list that is not natural but a tiny bit cleaner. In my opinion, they are the MAC of green beauty, but of course, they don't test on animals and everything is vegan with better ingredients. RAL (short for Red Apple Lipstick) is very well known for their amazing lipsticks, but they offer more than just lipsticks. They make nontoxic eyeshadows, blushes, lip liners, eyeliners, mascara, lip glosses, and makeup brushes. Everything is also gluten-free, and allergen-free. Love this brand so much that a lot of their products are staples in my collection. Their prices are not low, I would say they are in the high-end range but in my opinion totally worth it. Fortunately, I do have a discount to share with you guys, non-affiliate code nz22 gets you 22% off your $50 order. They also have an unheard of 6-month money back guarantee! If you don't completely love something you can send it back for your money back or an exchange. Jay & Andrea, owners and creators of RAL, keep surprising me with their amazing products and hope they keep creating superb products for years to come. If you would like to see swatches of some of their lipsticks I have a video on that you can view it here. I'm also working on an eyeshadow swatch video for the near future! My go-to brand for colorful eyeshadows. The owner Angelica Telles handmakes mostly eyeshadows, from neutrals to rich vibrant colors. Her shadows are so good, highly pigmented, they blend with no problem and stay on for a long time without creasing on my lids, which is almost a miracle. Her products are vegan & also free from toxic ingredients. I have a YouTube video where I swatched all of the eyeshadows I have from MBH, you can view it here. Also, CFVanity10 (not affiliated) gets you 10% off from this amazing Etsy shop. Oh, my love for this brand just gets bigger with every product they come out with. 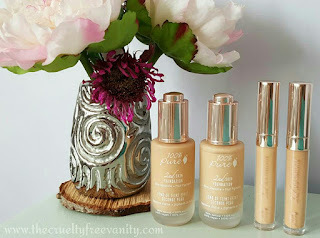 I mostly love their makeup but they also have awesome skin care products. I started using their makeup in 2016 when they released their Phyto Pigments makeup line, which is completely vegan!!! Since then I have tried about every product in the line and I must say, love, almost all of them. This line has everything you need to create a look, from primer to setting powder and everything in between. Their makeup products are formulated with organic ingredients & fruit pigments. I'm so glad I can always trust JB to find a clean makeup product that I will love. JB can be found on their official site, and lots of other stores & online boutiques such as Ulta Beauty, Bloomigdales, Credo Beauty, Neiman Marcus, Anthropologie, Dermstore, Wholefoods & more. This brand is an Australian brand but can be found at a few US retailers and online boutiques. I love this brand so much for their high-quality clean products and sleek simple packaging. Their packaging is seriously perfection and so aesthetically pleasing. I recently got their new Olive Oil Lipsticks and was amazed by how well they look and perform. They are comfortable, long lasting and highly pigmented. Besides the lipsticks, I also love their Oat Milk foundation, concealers, mascaras, and highlighters. Although this brand is based in Australia, the owner is Mexican with a love for natural living and natural makeup. If you live in the US there are a few places you can find Ere Perez, Credo Beauty, Follain, and Indi & Ary. They are my go-to brand for their amazing shade range. They offer 40+ shades in 3 different undertones which is amazing. Their shade range is very inclusive with lots of skin tones in mind. They make high-quality primers, foundations, concealers, setting powders and pretty much everything you would need for a flawless base. This brand is not natural but you won't find parabens, mineral oil, fragrance, talc, any animal by product and gluten in their products. I think this is a great brand if you are starting your transition into cleaner products because it has the conventional aspect but with less toxic ingredients. If you have been following me or watching my videos for a long time then you already know I love their concealers, setting powder & cover clicks. This brand is so special and unique because some of their products are infused with flower & gem essences and truth be told I'm a sucker for both. Diane the founder of Modern Minerals is a sweetheart she creates amazing, unique makeup that works. Her products range from mineral foundation to lip products and now even a hair care line! My absolute faves from MM are the mineral non-nano foundation, forever summer bronzer & lip glosses just to name a few. 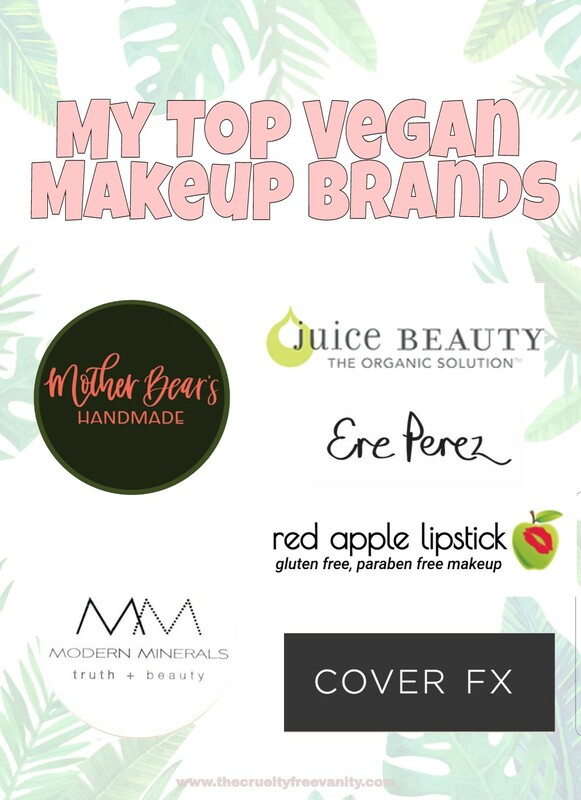 There you have it 6 of my top favorite brands that I can always trust for great quality vegan makeup. I didn't list all of my favorite products from each brand but I can do separate posts on that if you like. Now, I would love to know which are your top 5 (or 6 lol) makeup brands, leave them in the comments so I can see them and check them out.